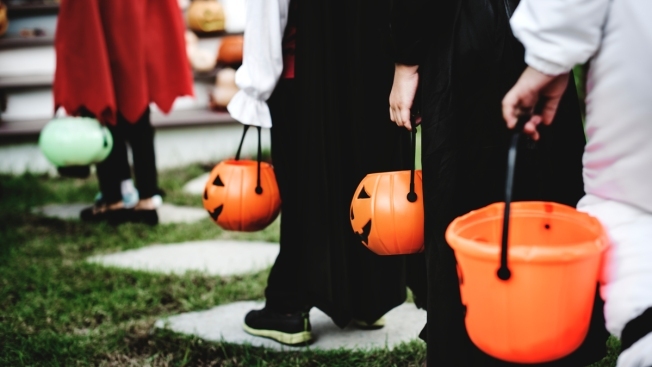 Halloween could be scarier for your budget than anticipated: Homeowners and auto insurance claims tend to jump during the holiday. On average, Halloween has 17 percent more home claims for theft, vandalism and other crimes than any other day of the year, according to a new assessment from Travelers. That includes problems like doors kicked in, mailboxes knocked down and rocks thrown through windows, said Angi Orbann, vice president of personal insurance property for Travelers. In some cases, damage can run into thousands of dollars. Horror is one of the few genres left that people feel they need to see in theaters, Blumhouse CEO says from CNBC. Spookier: Damage bills may be even more prevalent than those numbers imply. Homeowner policies, for example, often have a deductible of $500 to $1,000 before coverage kicks in. So acts of theft or vandalism that fall shy of that threshold (meaning you shoulder that expense and don't file a claim) aren't included in the numbers, said Orbann. And in some areas, the evening before Halloween — aka Devil's Night, Mischief Night and other variants — is better known for such pranks. Halloween claims data likely include damage from that night discovered Halloween morning, she said, although Travelers also noted a slight jump in claims on Oct. 30. The first step to limiting Halloween insurance scares is checking your insurance policy for potential gaps, said Michael Barry, a spokesman for the Insurance Information Institute. A typical homeowners policy would cover theft and vandalism, but you should make sure you're comfortable with your deductible. Liability coverage, should a trick-or-treater or other visitor be hurt on your property, is another consideration. "There may not be only bodily injury and property damage, but there can also be a lawsuit," he said. With auto insurance, weigh comprehensive coverage, which encompasses a wide range of damage including vandalism and theft of auto parts, Barry said. About 8 in 10 drivers have it, and for those who don't, it can be cheap peace of mind. Then, cut the potential for tricks. Clear your yard and sidewalk of potential hazards that could trip up trick-or-treaters, and make sure the path to your door is well lit, Orbann said. Consider crating your pets or securing them in a room away from the front door to limit the risk they could injure themselves or a costumed visitor. "Some of them are eager to greet all the trick-or-treaters, but some get scared," she said. Heading out to enjoy Halloween festivities yourself? Enlist a neighbor to keep an eye on your property, she said. Leave security systems, motion-triggered lights and other theft deterrents activated to make your home a less-attractive target. If possible, park your car off the street — and ideally, in a garage.